Warner Bros. just won't admit that this movie was a bad idea and let it die. MovieBob is pretty sure that Green Lantern isn't going to get a sequel, between its massive budget, underwhelming reviews, and rather dismal box office performance. However, sources inside the studio are claiming that Warner Bros. is still planning to make another movie based on the comic franchise. 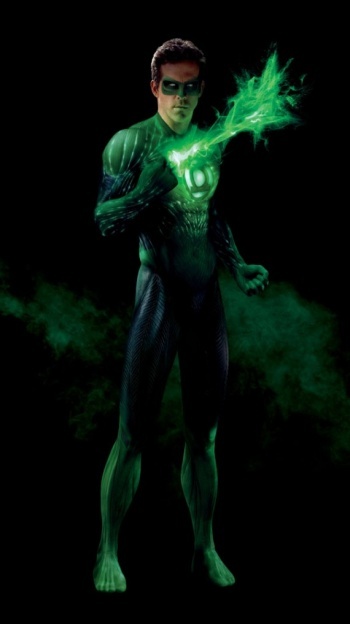 The Hollywood Reporter is reporting that Warner Bros. still believes in the money-making potential of Green Lantern. Even though the studio is "somewhat disappointed" at the movie's box office returns, the sequel is apparently still being pushed through. According to the company's president of domestic distribution Dan Fellman, the movie is "settling in", though he apparently explained that "fanboy pics often see a significant drop-off in their second weekends." That said, Green Lantern's drop-off was pretty steep in its second weekend, down 66% in the United States to $18.4 million. That's way more than either Thor or X-Men: First Class did in their second weekends. Reportedly, Green Lantern cost $200 million to make (though rumors across the Web claim the number's much higher) and even more to market; this is supposedly one of the most expensive advertising campaigns in movie history. The reason that Warner Bros. is willing to keep on committing money to such a mediocre film project may actually be that it needs new franchises (now that Harry Potter is due to end so soon and Christopher Nolan's Batman trilogy will be finished come next year). What Warner Bros. might want to consider - if this sequel actually happens - is to make the movie into something that's actually good.